05 Oct 11 copy & paste +upvote -downvote @MissAllieMamas hey! Oh and that's supposed to be my emoji version of Marilyn RT @J0J0Monroe: red lip season . 06 Oct 11 copy & paste +upvote -downvote Oh and that's supposed to be my emoji version of Marilyn  RT @J0J0Monroe: red lip season . The girls sr. High volleyball team did good tonight! just downloaded emoji. hehe. alreadyy love it. 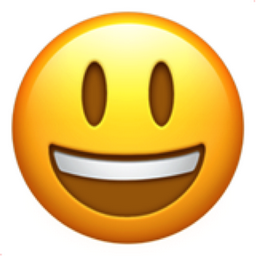 Like Smiling Face with Open Mouth Chronological Emojitweets 8?